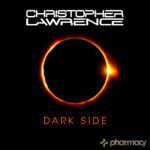 We talked with Christopher Lawrence about his new mix-compilation “Dark Side”, his brand Pharmacy and much more! Enjoy reading! TranceAttack: Hey Christopher! Welcome for the first time on TranceAttack. The first edition of your new mix-series “Dark Side Vol. 1” is fresh released and reached the no.1 spot in the Beatport Trance & Psytrance Charts. Congrats for this great start! For all who could not listen yet, please give us a short introduction. What can the listener expect? Christopher: Dark Side, as the name suggests, represents the darker side of dance music. I tried to capture the sound of one of my open to close sets beginning with deep progressive house on the first mix just like the beginning of a set. Then the mix gains in energy through progressive house, techno and trance. The second mix takes over with progressive psy-trance and builds in energy and tempo just like a set. The compilation is made up of two mixes because it is three hours long which is too long for one single file to be uploaded for digital downloads and streaming but this works because it separates the mix in to two moods. The listener can go for the more progressive vibe or the psy trance and when listened consecutively get the full effect. 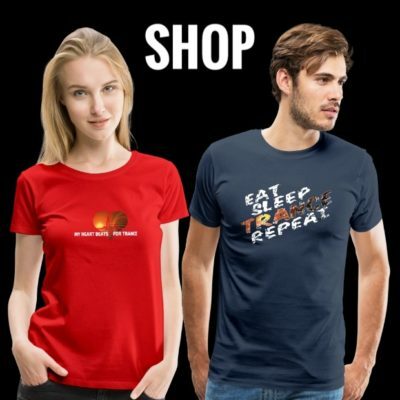 TranceAttack: It contains two trance styles that couldn’t be more different. Slower, deep, progressive sounds the first one, the other energized Psy. What is the cause of this wide range? 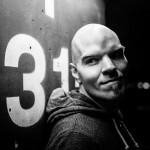 Christopher: The diverse range covers the range of genres that I play in an open to close set. Also, I have been really excited by the progressive house that is being produced right now. I started out playing progressive house and techno twenty-five years ago so it is a sound I have always loved. For a while it became very minimal and I lost interest in it but now it is some of the best music being produced. And psy trance just speaks to me. Once that rolling bassline kicks in it becomes hypnotic and infectious. TranceAttack: How did you choose the tracks for the mixes? Christopher: It was really hard to choose the tracks for the mixes because there were so many great tracks to choose from. Another problem was getting the mix to flow effortlessly and smoothly. I played around a lot with different tracks and different mixes. It took a long time to get each one just right. I am a bit of a perfectionist and it’s hard to stop and say a project is done. In the end the hard work paid off. I am very happy with the final mix and love each and every track on it. I was fortunate to have amazing tracks by fantastic producers. That always helps. TranceAttack: Fans and “Hobby-DJs” can buy the tracks of the “The Dark Side” also as single full length tracks. We like this idea very much. How did it come to this decision? Christopher: I have always felt that the true talent of a DJ is in their track selection and their programing which is why I am a fan of the continuous mix. This also means that, just like everyone else, I enjoy listening to mixes and will fall in love with some of the tracks on the mix. The tracks may not be available or hard to find. Including the individual tracks makes it easy for people to have every track on the mix. If I was just starting out DJing I would have loved to have all the tracks on a mix of my favorite DJ. It is an instant set. Plus it allows the individual artists to make money off the sale of the mix. TranceAttack: Progressive or Psy? What were first? How do you decide which style to play? Can Event Organizers and club owners choose or is it even a surprise for them? Like a “black box”? Christopher: Both sounds came out of the same primordial ooze. In the beginning everything was called house or techno. Out of that all the different genres began to splinter off. 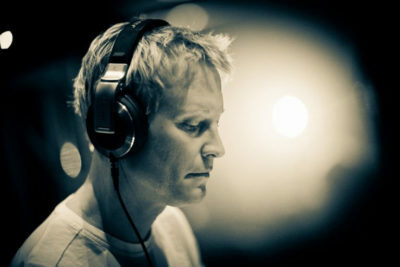 I was drawn to the darker sounds of progressive house and trance. Psy trance split off from trance and developed for twenty years on its own but I have always played it in my sets. As trance became more commercial with fluffy melodies and pop song vocals I moved away from it and played more psy trance. At events I tailor my sets to the venue, my time slot and the vibe of the crowd. Like my mix, if I am playing open to close, I am not going to start out at 9pm with 140bpm psy trance. It would just sound wrong. Likewise, If am playing a set at 3am and the party is rocking, 124bpm progressive house would be dance floor poison. But a promoter can definitely choose.. If it is an underground club and everyone is playing progressive house and techno that’s what I am going to play. That is the art of a DJ, to know what to play and when to play it. TranceAttack: For those people that had never witnessed on of your legendary open to close sets, can you describe a typical “Christopher Lawrence” Journey? Christopher: I lke to start out with ambient music for the first thirty minutes as people enter the venue. It sets the mood and allows people to get settled and the club to begin filling. Once the tension has built and the time feels right I will drop the first beat. If done right everyone will run to the dance floor and start grooving. Progressive house is perfect for this time with lower bpms but still some energy and interesting sounds. From there I just build slowly both in tempo and energy. The key is not to burn out your audience. I feed off their energy so I want them to go the distance. I don’t get into the psy until about the half way mark. 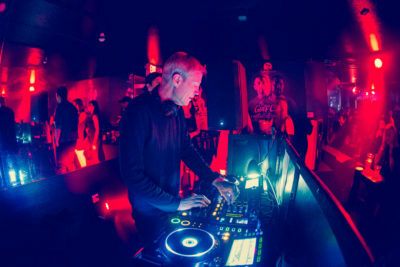 Then I lock in that groove and ride with it until the last forty-five minutes or hour and then ease into trance with more uplifting melodies. It marks the end of the journey and the return to earth. It leaves people feeling that no matter how crazy things might have gotten, everything is going to be alright. TranceAttack: You run your well-established label “Pharmacy Music” now for more than 7 years! With over 180 releases since Pharmacy001 are you satisfied with the development of the label? Christopher: I am extremely happy with the success of Pharmacy Music and the artists that we have on the label. The beginning was a slow growth but now we are firing on all cylinders with releases every week and every release charting on Beatport. The goal of the label was always to develop new artists and that is what we have done. Artists like Fergie & Sadrian, Synfonic, Orpheus, No Comment, Magnus, Seven Ways, Black Marvin and Raphael Osmo have grown so much over the past few years. I am very grateful for the support the label and the artists have received. TranceAttack: Are there already some ideas to celebrate the near anniversary of the 200th release? Christopher: We have something up our sleeve but you will have to wait until December for to find out. TranceAttack: Pharmacy Plus is also part of the Pharmacy label family. Can you tell us something about it? What makes the difference to the main label Pharmacy Music? Christopher: Over the years Pharmacy Music grew and we realized that it would be best to split the label in to two labels. Pharmacy became psychedelic trance only and Pharmacy Plus releases tech-trance, progressive house and techno. The name is also a play on our logo which is a pharmacy cross. So Pharmacy Plus is the cross but can also be viewed at as a plus sign like a mathematical symbol. TranceAttack: “Pharmacy” is also called your monthly radio show. Tell us something about it! Christopher: I had been doing my monthly radio show and podcast Rush Hour for about eight years when I decided that I would like to rebrand it to bring it under the same family as my Pharmacy labels. So after the one hundredth episode of Rush Hour I changed the name and format to Pharmacy Radio. Instead of just one guest mix every episode, each episode now has two. The first guest mix features a high profile artist and the second feature an artist form one of the Pharmacy labels. I like the format a lot better because it gives a platform to showcase the incredible talent on the labels. TranceAttack: Your latest collab with Fergie Sadrian sounds great. Do you like to work with colleagues? Christopher: Thanks. I am very happy with Ajna, my collaboration with Fergie & Sadrian. I prefer to work with other people, especially artists that I have become friends with. I find it hard to finish tracks on my own. I am such a perfectionist that I get bogged down in the details and never feel that a track is finished. Then so much time passes that I hate the track and start something new. Working with other people means that you have to make decisions faster which ultimately makes the whole process more exciting and the tracks come out better. I have done several tracks with Orpheus and Fergie & Sadrian over the years and it’s just more fun to work in the studio with your friends. TranceAttack: You recently ran a Remix contest of your smasher “Banshee”. The response on it was amazing. Can you give us some background info of this campaign? 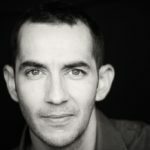 Christopher: At the time Banshee had been my most successful track to date reaching number one on Beatport. 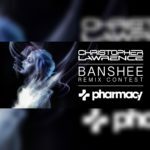 Banshee was always a favorite in my sets so we decided to do a remix contest and allow fans of the track to work their magic and see what they came up with. I was blown away by the response. We had so many submissions and across all genres. I was very impressed with the remixes. We were going to have one winner but instead had four. We are also going to do a second release with Pharmacy artist remixes. TranceAttack: You are the primitive rock of trance music in the US. You already handled the wheels of steel when the most of the actual audience where born. How did it all change since the early days? Christopher: The biggest change is the transformation form analog to digital. The change is revolutionary. DJs went from spinning vinyl records on turntables to playing digital files off USB drives on digital CD players or laptops. It is so insane the transformation. Producers used to make music with outboard keyboards synched together thru midi and played by a sequencer thru a mixing desk. It was expensive to have a studio and took years to learn how to use the equipment. Now anyone with a laptop can produce music in powerful digital audio workstations like Ableton LIve, Cubase and Logic. Parties grew from underground warehouse parties to massive festivals like EDC. 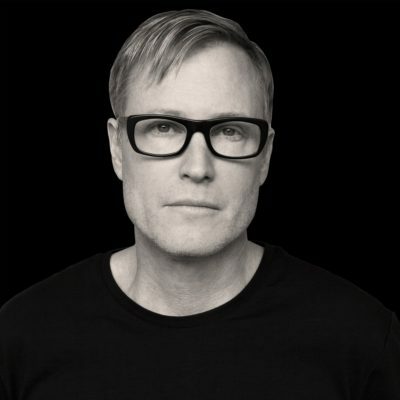 It is absolutely incredible the changes that have taken place and I am grateful to have had a career that has grown with the amazing transformation of dance music from an underground scene to the massive movement it has become. Christopher: Everywhere at once. In response to commercial trance and EDM people went back to underground sounds like techno, progressive house and psytrance. But ultimately, everyone likes energy and melodies. I am hearing trance influences creeping into techno and progressive house. Trance is being reborn but from the outside, from progressive house, techno and psy trance. This is an exciting time for trance. TranceAttack: What are your favourite artists at the moment? Whom should we keep an eye on? Christopher: Sonic Species is always at the top of my list. Other psy artist I like are Avalon, Alpha Portal and Liquid Soul. Progressive artist I like are Jerome Isma-Ae, Matan Caspi and Stan Kolev. Shadow Chronicles and Jinus have been making some great trance. 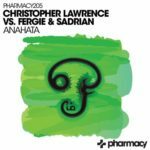 Pharmacy artists Fergie & Sadrian are on fire right now as well as Synfonic and No Comment. TranceAttack: What are your personal plans and goals for 2018 beside label and radio show? 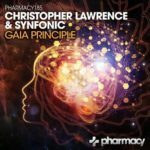 Christopher: We just launched a new label night called Pharma-Psy As the name suggests it’s a night of psychedelic trance featuring Pharmacy artists. We sold out our first night here in Southern California so you can expect to see more. I have a new collaboration coming out with Synfonic titled Gaia Principle this month and another track with Fergie & Sadrian next month, plus more in the pipeline. It is gong to be a big year on the production front. And, as always, touring around the world. That is where my heart is, in a room full of passionate, underground music lovers. Tagged Christopher Lawrence, Dark Side, Pharmacy Music, Pharmacy Radio.